The famous Ambassador Inn is located in the Destination Market featuring some of the best Eastern Atlantic Experiences. Built on 4.2 acres of land with Two Stories and a total of 89 rooms. 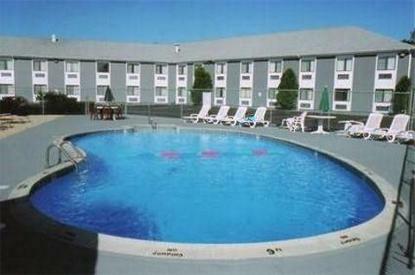 We have both an indoor heated pool with Hot Tub and Sauna and a seasonal Out door pool. There are various combinations of rooms including Kings and Doubles. Hotel has a large Breakfast room and 50 People capacity meeting room. Every room is furnished with Serta quality bedding and Individually controlled heat and AC. Hotel also provides complimentary Deluxe continental Breakfast and Free WiFi trough Hotel. Other Amenities includes Am/Fm Alarm Radio clock, 27 Inch TVs with 5 HBO Channels. Iron and Ironing Board, Hair Dryer, coffee makers and Refrigerators.